NYSC: Buhari Expecting Minister Adebayo Shittu’s Resignation? President Muhammadu Buhari is expecting the resignation of the Minister of Communications, Adebayo Shittu, over his failure to participate in the mandatory one-year National Youth Service Corps (NYSC). The minister had failed to participate in the scheme after his graduation from the University of Ife (now Obafemi Awolowo University), Osun State. But the leadership of the ruling APC had recently disqualified him from contesting for the party’s governorship ticket in Oyo State based on the issue. 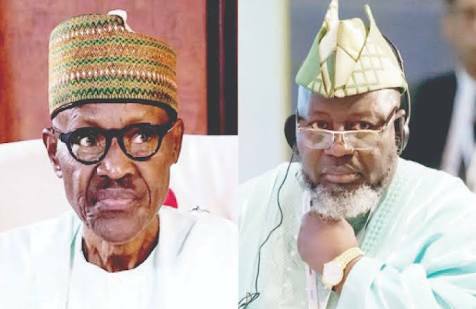 One of the sources said Buhari had made it clear that the minister did not have to wait for him (the President) to act before doing the proper thing in this instance. He said, “The truth is that the President has made his position known to the minister and there are witnesses. “What the President said was that people should not be waiting for him to act the way he did in the case of a former Minister of Finance (Mrs Kemi Adeosun) before they do what is needful. The presidential spokesmen, Garba Shehu and Femi Adesina, could not be reached on the telephone for comment as of the time of filing this report on Friday. When contacted on phone on Friday, the minister told The Punch that he would speak next week.